If you live in London, hopefully you have picked up a copy of City AM this morning. If you have, and read the Office Politics section, you’ll have seen my piece about the benefits of listening to classical music while you work. I really wanted to share those with you here, so please find below links to a playlist on Spotify that will hopefully float your boat! Jon Jacob attends the Steve Reich 80 concert at the Cafe Budapest Festival on Sunday, 16 October 2016. Steve Reich’s music occupies a special place in the hearts of its devotees. Concerts attract earnest (in some cases obsessive) crowds, but the spirit of inclusivity borne out of the audience’s high expectations and infectious enthusiasm in undeniable. To mark Reich’s 80th, the Amadinda Percussion Ensemble joined forces with the Kelemen Quartet and the UMZE Chamber Ensemble to perform a selection of music by the composer. Mallet Quartet received its world premiere in Budapest in 2009, the culmination of a 25-year collaboration between the Amadinda Ensemble and Reich himself. It’s a thought-provoking work, taking us on a journey from textbook, upbeat, joyous Reich, through pensive reflection, onto a celebratory conclusion tinged with a hint of unease. What joy there is at the beginning of the work is tempered by an unshakable tension at the end. The most musically satisfying of the composer’s larger ensemble works, City Life also happened to turn out to be the performance highlight of the evening. The Kelemen Quartet accompanied by UMZE Chamber Ensemble played with heart and grit in equal measure, taking us through a range of aural cityscapes, some grim, others terrifying. In the fifth movement – Heartbeats – the distinction between live music and recorded ambience was indecipherable creating what at times appeared like a nightmare vision of urban life. In some respects hearing Reich’s music in the opulent surroundings of the Lizst Academy in Budapest seemed incongruent with the images he conjures up in his writing. The acoustic, whilst generous, sometimes muddied the rich lines from the percussion instruments. The Quartet – a work for two vibes and two pianos for example, highlighted the acoustic challenge which in turn drew attention to the demands placed on the Ensemble placing chords and ensuring unison lines were uniformly played. Radio Rewrite – a collaboration between Reich and Radiohead’s Jonny Greenwood – is different in character and, in some ways, musically less satisfying. The phrases Reich uses are longer meaning the driving rhythms we come to expect from his creation are lost in favour of complex seemingly ever-changing time changes. There was as a result a perceptible lack of punch to proceedings made the work feel a little long. Jon Jacob writes about classical music at the Thoroughly Good site. He’s ThoroughlyGood on Twitter. What tune does it use? The third section of Steve Reich’s Electric Counterpoint. Ask any electronic musician worth their salt who their greatest influences are and the chances are it won’t be long before they come round to mentioning Steve Reich – which our interview with John Tejada has already confirmed! Reich’s talent for taking pop-friendly melodies and looping them almost to breaking point (a technique often labelled as minimalism) has been one of the single biggest influences on electronic music up to this point, especially in techno, which often uses similar principles of repetition and expansion. The cross-over between Reich and techno goes back a long way too – and one intriguing spot is that Japanese producer Ken Ishii – now a widely respected techno artist – played cello on the first recording of Music for 18 Musicians, made for ECM in 1978. Now if you haven’t heard that particular piece, I suggest you stop what you’re doing right now and watch this! Likewise if this is your first encounter with the music of The Orb, I should direct you towards their Top of the Pops performance of the wonderful, peerless Blue Room, heard in edit form below. Definitely the first band to play chess on the program! 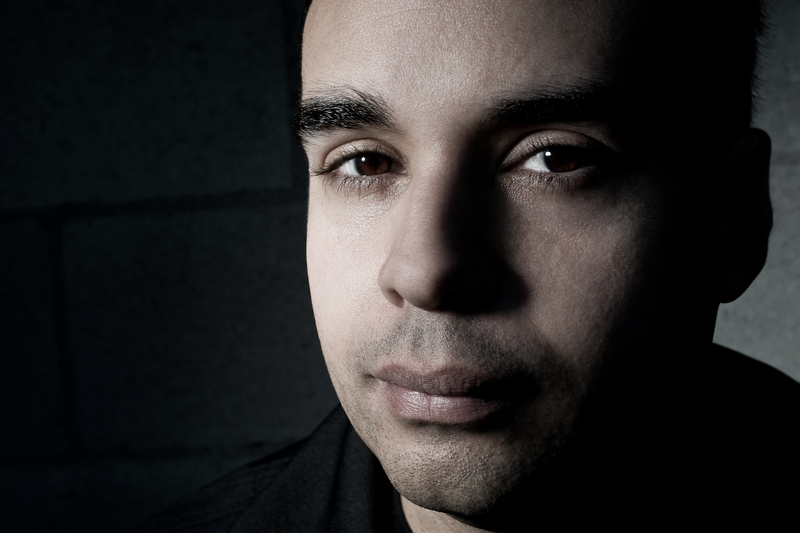 John Tejada is a well established and highly respected techno musician – but his roots lie in an upbringing full of classical music. Arcana called him on a break from work in his California studio, where he wrote his tenth album Signs Under Test, released on Kompakt this month. Can you remember your first encounter with classical music? My first memories were from my parents, with my mother being an opera singer and my father a clarinettist and conductor. I would often get dragged around to gigs! One of my first memories was seeing them practice, and that made it very real. I think that probably that programmed me into the routine of how you get up, have breakfast and then practice, and that has stuck with me right through to this day. It was a big influence in what I do now. There are often moments in your music where you are subtly very inventive, using unusual rhythms and less conventional harmonic patterns. Does that stem from your upbringing do you think? I suppose it does, but I couldn’t properly explain it. It’s one of the different ways I got to where I am now. My focus is not on getting played out by DJs but it is an enjoyment of listening to what feels interesting. Getting the fuzzy feeling, that’s what I’m after! What does classical music mean to you? I wouldn’t say that ‘classical’ music means a great deal to me, as I tend towards the stuff that the more modern composers did, I would go with my mum to see Steve Reich concerts; we’d go to see that stuff together. I don’t actively listen to the classic stuff, but because opera was always on at full blast in the house I got to hear a lot of it. It gave me an interesting perspective on what music is and what it can do. It has stuck with me the whole way through. The categorisation of what is classical music has always puzzled me. The early works of Stockhausen are classical but today sound like something like that could be released on Torch Records! Looking back, it’s pretty wild what was going on in the 1950s and 1960s compared to what people do today. Is Steve Reich a big influence on your work? Reich was so revolutionary in the way he showed people could have ideas of just using tape loops. He was a massive influence on digital music today with the loops and the phase experiments – he laid the fundamentals to what people are still doing now. I would love to see Music for 18 Musicians performed on synths, I think that would be really successful. What would you say classical music – as you listen to it – and techno have in common? I think a lot of stuff! I really enjoy making those connections. I think classical music – and the music of Reich – refers to looped and non-looped music that is beatless. The question for techno is ‘Can you do that with a beat?’ For me though the fundamentals of techno and drone are laid down without a beat. Terry Riley and Steve Reich discovered that. It is an interesting connection there, but I find a lot of people won’t give it a chance. It’s like eating a vegetable. There are times when I won’t explore because I just don’t know. What do you know and like at the moment? I also think early Art of Noise records are really interesting, you have people trying stuff out – because why not? I remember when I was listening to some of this stuff at home, and being nearly asleep but being scared silly at the same time! We had some really interesting radio in the mid-1980s, and I was absorbing some crazy stuff. I remember one time when one of my friends came round who was writing some particularly experimental stuff. He was playing that new stuff for me, which was a real risk for him playing it at full blast. Mum came in and said, “What are you playing, it’s really interesting – it sounds like…” and then she named three different composers. It wasn’t the standard request to turn it down at all! Would you like to try writing more classically based music? I have done some more experimental things on labels like Plug Research, but yes – I do have an idea to do something that is modern classical. We’ll see how that develops!